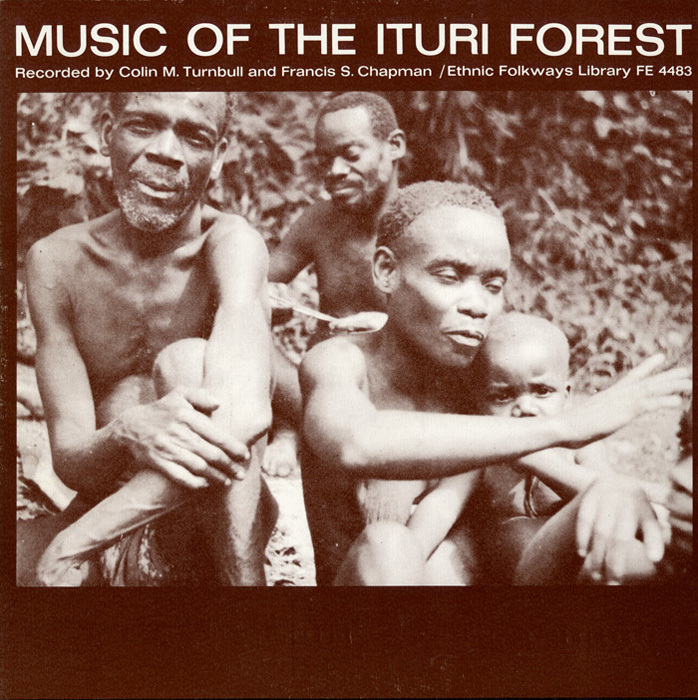 Recorded in the 1950s by prominent cultural anthropologist Colin Turnbull, Music of the Ituri Forest is a study in the lives and traditions of the BaMbuti, a nomadic people from the Ituri Forest of northeastern Congo. In a society with no chiefs or councils, the BaMbuti share responsibilities, including those of music-making. Each individual in a group sings one or two notes that, in circulation, build into melodies and harmonies. Instruments such as the likembe (thumb piano) accompany solo voice, while the mgungu gong (slit gong) helps ground mounting call-and-response choruses. Written by Turnbull, liner notes include descriptions of BaMbuti culture and the story behind each track. This album was partially reissued with expanded track list and annotation in 1992 as Smithsonian Folkways Recordings 40401.